When a friend received his inheritance, it consisted of a garage full of Tiki Mugs. His mother drank at Trader Vic's and pocketed the mugs, so after a long life she'd assembled quite a collection. I made the containers a bit out-sized because they were huge in her legend. 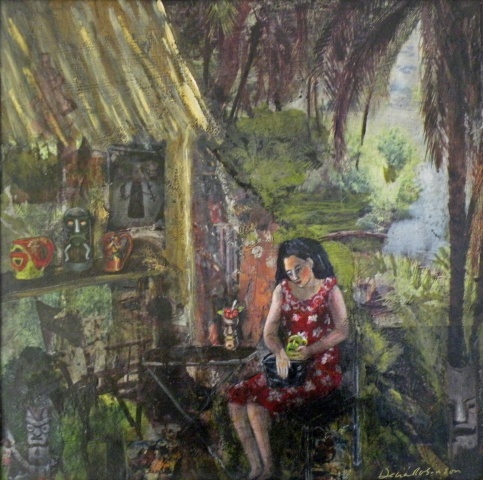 The painting is packed full of Tiki lore.